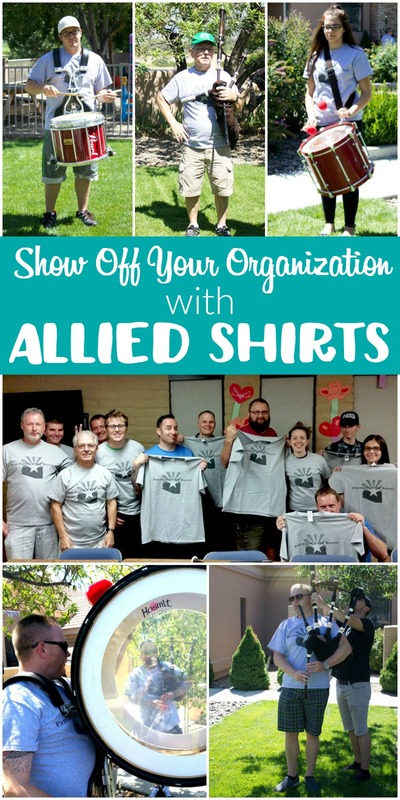 Show Off Your Organization with Allied Shirts! This post is sponsored by Allied Shirts. All opinions are 100% my own. If you didn’t know I’m in a bagpipe band. No, I don’t play bagpipes. I’m a drummer. 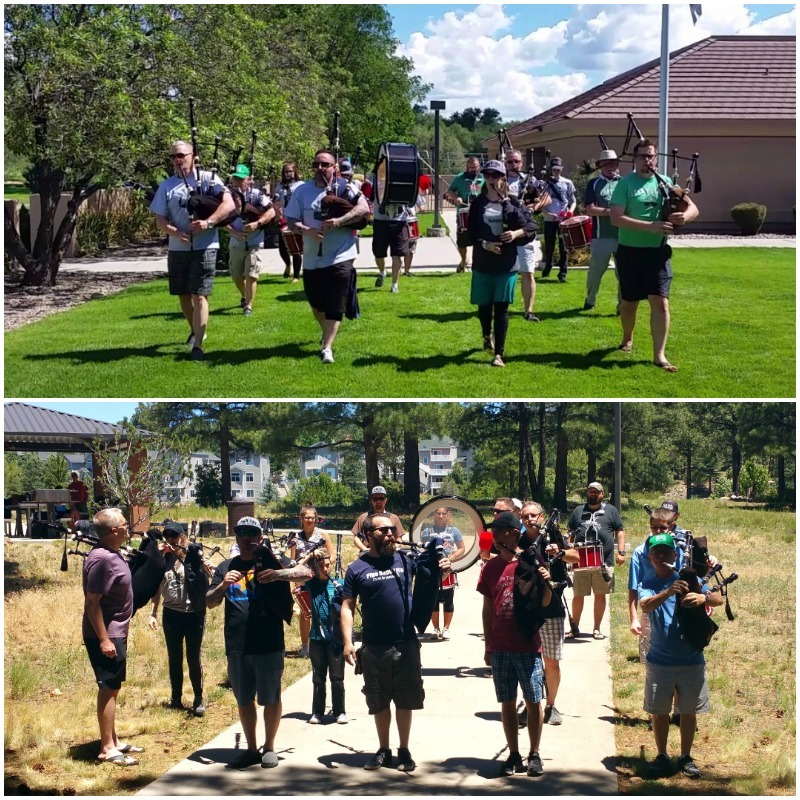 I’ve been with Phoenix Pipe Band for almost 3 years now and love it! The comradery, playing music, completing at highland games, it’s a blast! While we’re easy to spot when we’re in our kilts, when we’re practicing or attending local piping events we’re usually in our street clothes. But that’s all changed with Allied Shirts! Granted a couple please missed the “don’t forget your band shirt!” email for our first practice since getting the shirts, but you can already see the difference from one month to the next. We look like a group that has their stuff together and is proud of our organization, instead of just a bunch of people practicing. I had a great experience with Allied Shirts. 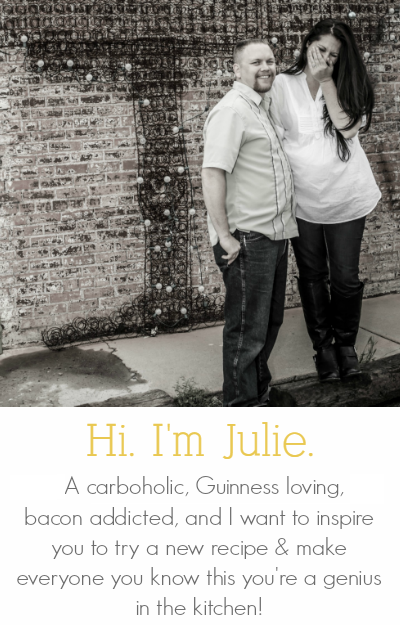 Their website was so easy to use. Pick what kind of shirt you want to make. 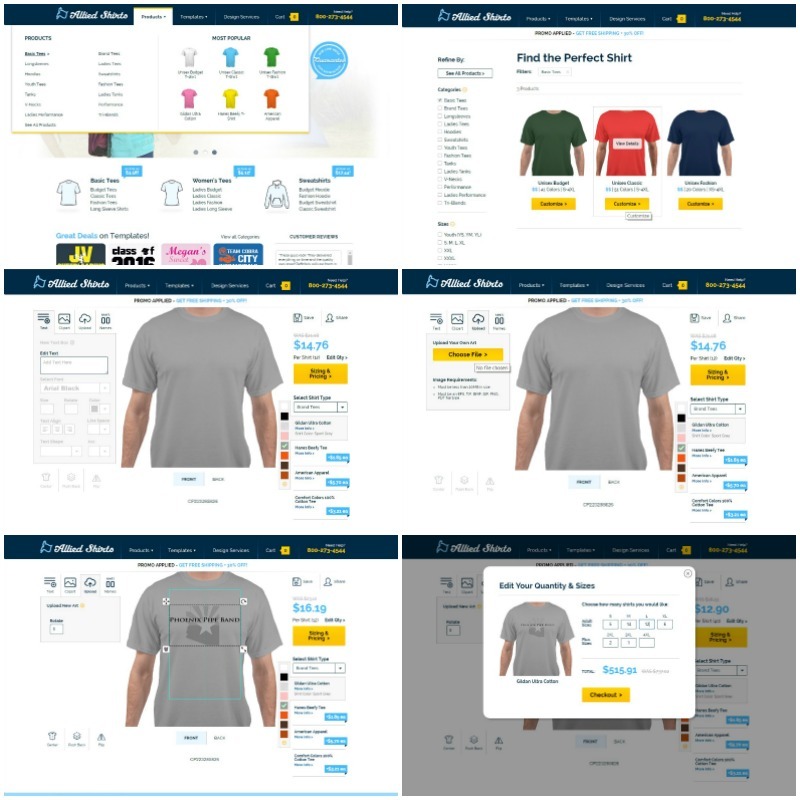 Choose the style, fabric, and color you want, use the Allied Shirts creator to design your shirt or upload your own design like I did, and select the size(s) you need. Then go through the checkout process and you’re set. Our shirts arrived in about 10-12 business days. I received emails for processing and shipping so I was always in the loop about my order. 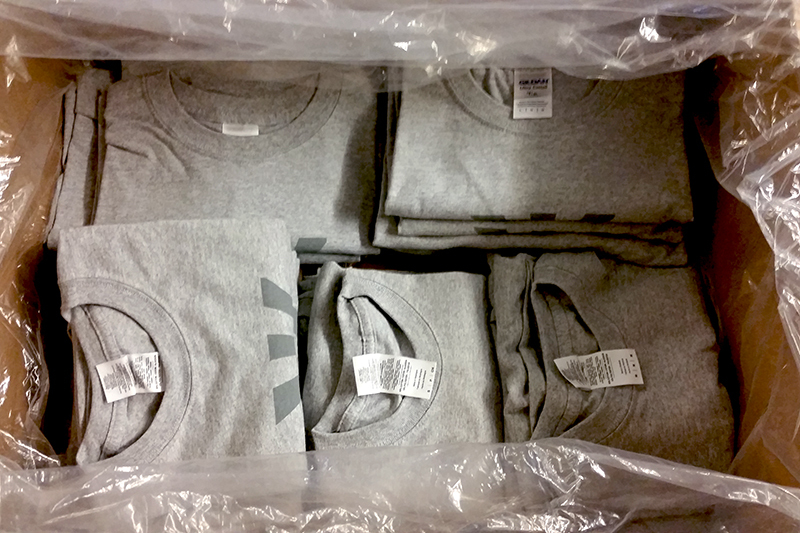 The band’s shirts arrived in a big box laid out on top of each other and then folded over once. Not all wrinkled or kind of shoved in there like I’ve seen with other companies. While Allied Shirts mentioned they had to substitute the type of shirt for some of the XXL and XXXL shirts, I didn’t even notice a difference. They all looked and felt the same, but I thought I was nice of them to mention it in case we had concerns. I took all the shirts out and folded them so we could see the sizing tags easily to hand the shirts out. The screenprinting was on point. The colors were just what I expected and I could tell it’s good quality. My husband and I have washed out shirts quite a few times now and they just keep getting softer. The band logo hasn’t faded or anything. 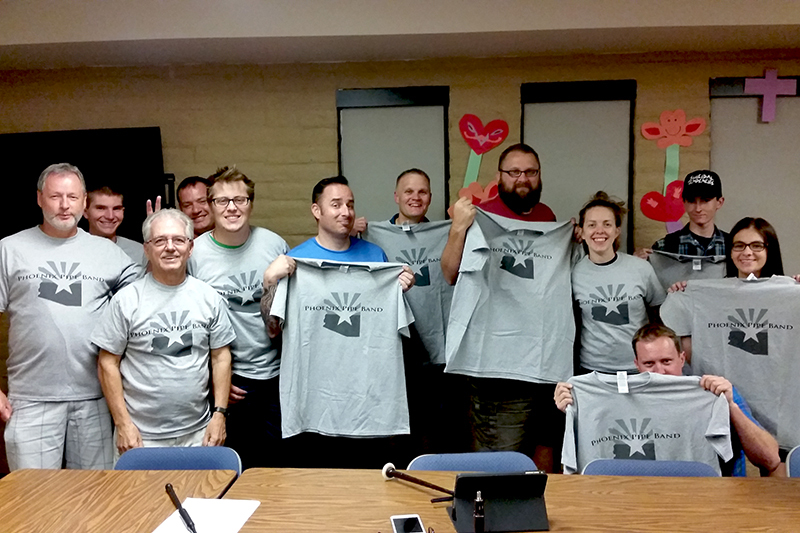 The band is really happy with the shirts! The shirts are also a fantastic way to get the word out about our band just by getting dressed in the morning. If you’re looking to order shirts for your company, team, band, or organization I cannot recommend Allied Shirts enough. We liked our shirts so much that we’re already planning to order more for another division of the band! You can learn more about Allied Shirts on their website, and keep up to date on the latest sales and more on their Facebook, Twitter, and Instagram accounts.